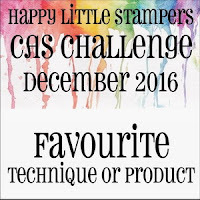 Hi my lovely friends, today starts a new challenge over on the Happy Little Stampers CAS Challenge blog. I also have to tell you that this will be my last DT post for that challenge, as, unfortunately, I won't be able to give it one hundred percent in 2017 and if I am unable to give anything one hundred percent I feel that it would be unfair to everyone and so, regrettably, I have had to step down. Next year is going to be a very busy one for me. However, I still hope to enter the challenge from time to time, as and when I am able! As you can see, this month we get to choose our favourite technique. 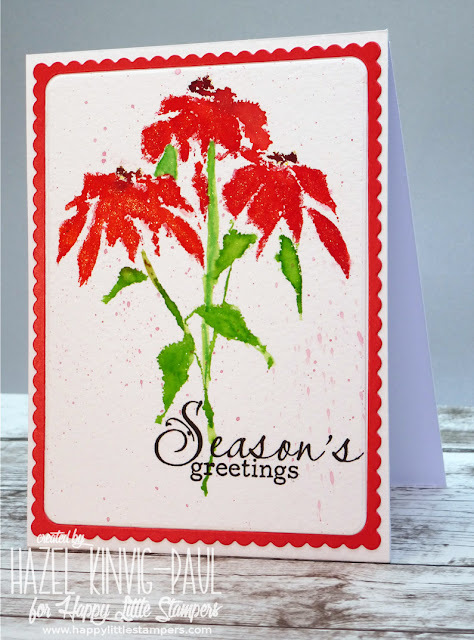 For my technique, I chose to do watercolour spritzing and I also used a die cut inlay technique. Here is my card. First I cut a watercolour panel and a red card-stock panel with the largest of the Simon Says Stamp 'Frames' die set and put to one side. 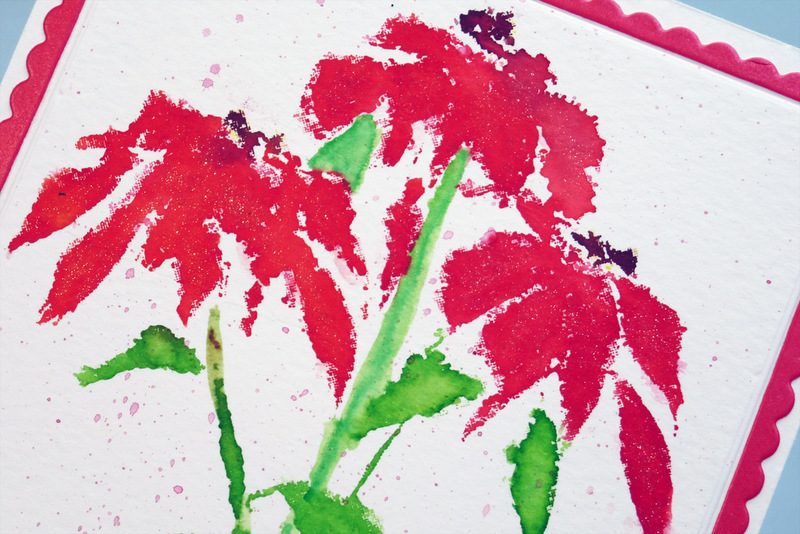 Next, I inked the Penny Black 'La Fluer Rouge' stamp with markers and spritzed it with water. 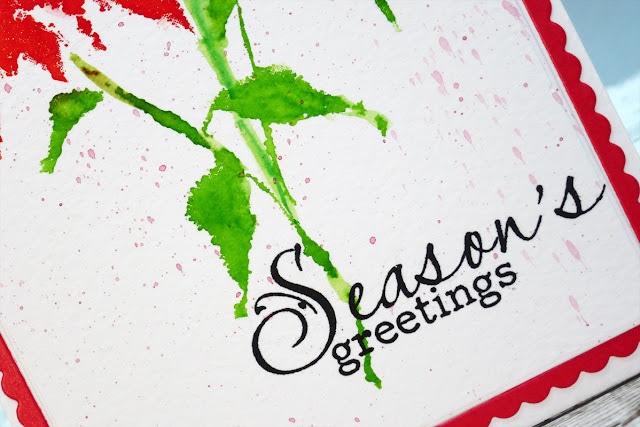 Then I stamped the image on the panel of watercolour card-stock and stamped the greeting with the Clearly Besotted 'Holly Berries' stamp set. When it was dry, I then flicked some splatters of ink - mixed with water - on to the focal panel and finally I mounted the focal panel and the frame to the front of a card base, finishing everything with a lick of Wink Of Stella. 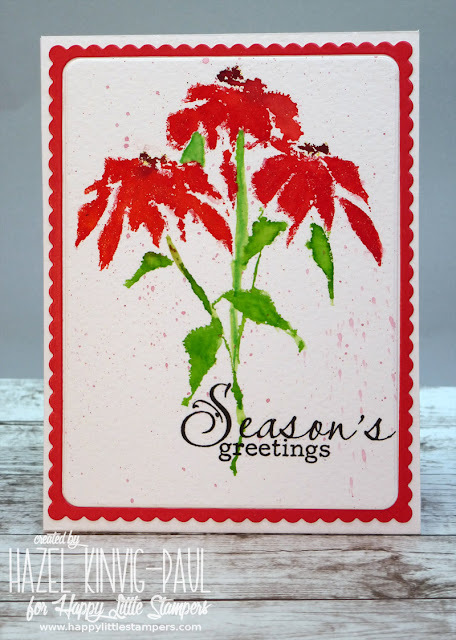 Why not pop on over and see the rest of the DT creations and show us your favourite technique! Beautiful card Hazel. Sorry you had to step down as DT member. Fantastic card, Hazel. 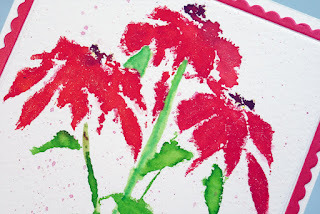 I love how she worked the paint with water to form this beautiful flower. Gentle splash brilliantly complements the card. That is such a pretty card. I have to say I am surprised you got such a bright and bold red by coloring with markers on your stamp. It is a lovely result! Such a beautiful card Hazel...your poinsettias are stunning. You will be so missed at HLS! Gorgeous card Hazel, love the rich red and scalloped frame. Ooooh, such a bright, beautiful card today. This one will put the "happy" in happy Christmas! 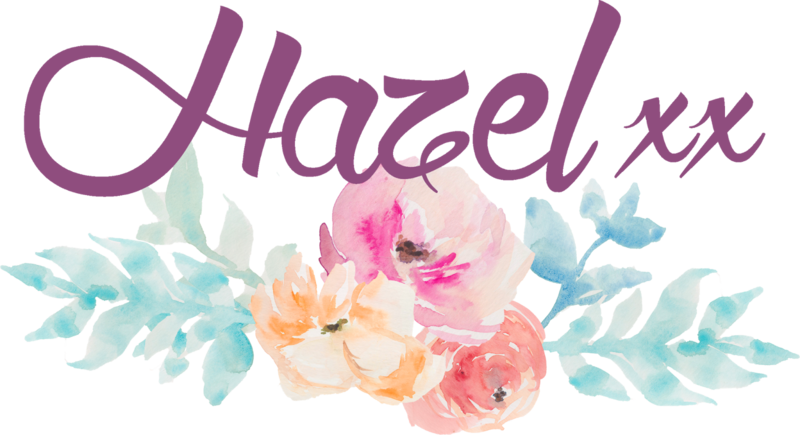 Your last card as a DT member is gorgeous, Hazel! It looks very artsy with the splatters! 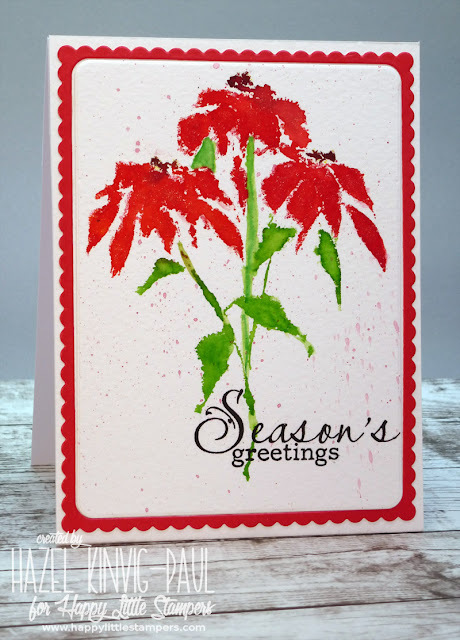 Gorgeous card Hazel, I love the showy effect of the gorgeous blooms! Such a lovely card in some of my favourite colours ever.